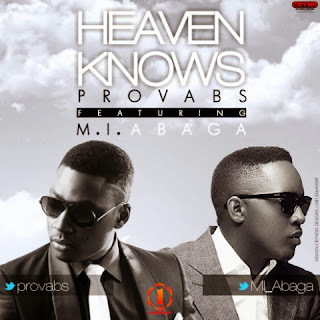 WATCH ENTHRALLING 'HEAVEN KNOWS' INTERVIEW WITH PROVABS & M.I. Provabs and M.I. go way back and in this clip, the fine lyricists take a stroll back in time as well as discuss the recent collaboration titled 'Heaven Knows' off Provabs' recent album - Mind the G.A.P. 'Provabs is a great, good friend of mine...' M.I. says of his relationship with the Contemporary christian Hiphop act, Provabs. 'I think 'Heaven Knows' is a very bold song, You guys should pay more attention to Provabs..' The Chocolate city rapper admonished. The street edition of 'Mind the G.A.P' album would be out soon, Provabs informs in the clip.